The judge convicted Eircom and imposed fines amounting to €16,500 which must be paid within two months. A JUDGE HAS convicted Eircom and imposed €16,500 in fines after hearing that a convent nursing home for elderly nuns was over-charged and left without a phone service for weeks. Eircom Ltd, trading as Eir, was prosecuted after a complaint was made to industry watchdog Comreg. The case came before Judge John Brennan at Dublin District Court today. The company pleaded guilty to four counts under the Communication Regulations Act for providing a service that was not requested and three other charges under European Communities (Electronic Communications Networks and Services) (Universal Service and Users’ Rights) Regulations 2011 for failing to transfer the nursing home’s phone number between May and August last year. Judge Brennan noted that Comreg received a complaint from the Franciscan Missionaries of the Divine Motherhood nursing home in Ballinasloe, Galway. It looks after 27 nuns, aged from their seventies to their nineties, and it also has two other houses caring for seven other elderly nuns. Miriam Kilraine, compliance manager with Comreg, said the nuns’ retirement home had tried to transfer to Eircom from another service provider. The move should have been seamless and done within a few days but after the home was disconnected from their previous phone company it was left without a service for three weeks while one of their smaller houses had none for eight weeks. 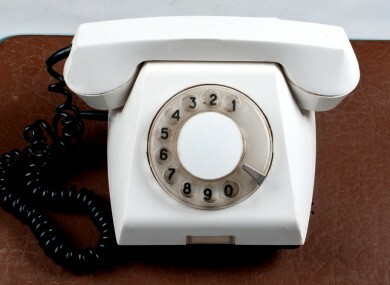 Eircom incorrectly told the nursing home they could not keep their original phone number. The nursing home was also told it needed a new line which was installed at a cost of €1,200. It later transpired that their original transfer request had gone through and the nursing home ended up getting double billed for their old and new lines. Eircom had also put them on an incorrect price plan. They were charged €700 to cancel the contract for their new line. By then, notification of their new number had been sent out to their circle of contacts, the court was told. Kilraine agreed with prosecution counsel Ronan Kennedy that Eircom has credited the customer for the over-charging but it took significant time and effort to have the problem rectified, involving 50 calls or emails. She also agreed the nursing home was a 24-hour care facility which was severely impacted by having no phone lines and it was a major inconvenience. The customer felt it would not have been resolved if Comreg had not got involved, she said. Kennedy said Eircom has prior convictions under the Communication Regulations Act which resulted in fines totalling €21,000 being imposed two years ago, however, they had no prior convictions under the 2011 regulations. It also has some convictions under the Data Protection Act, the court was told. Defence counsel Joe Jeffers said Eircom recognised that that the customer should have been able to transfer seamlessly and keep its number. The guilty plea was entered on the first date the case was before the court, the judge also noted. Jeffers said technical issues were brought to light by the prosecution and they have been rectified. The wrong price plan was a result of human error, counsel said. Eircom representatives also met with someone from the nursing home and appropriate measures have been put in place. Jeffers said the company was apologetic and had co-operated with Comreg. Pleading for leniency, counsel said Eircom was offering to donate €21,000 to charity. Judge Brennan said that he was not minded to accept that payment and impose the Probation Act or strike out the case. He explained that he was refusing because the case involved a regulatory framework to protect consumers and freedom of choice for consumers. He noted the significant impact on the activities of the nursing home and the efforts required to resolve the problem. The seven offences could have resulted in fines totalling €35,000, the court heard. However, the judge took into account the early guilty plea, that there was a genuine error and the issues have been resolved. He convicted Eircom and imposed fines amounting to €16,500 which must be paid within two months. Email “Eircom fined for over-charging nuns' nursing home and leaving it without phone service for weeks”. Feedback on “Eircom fined for over-charging nuns' nursing home and leaving it without phone service for weeks”.